Video collaboration is proven to increase ROI all while providing companies with the face-to-face synergies necessary to compete in their industry. In this blog, we will zero in on a face-to-face meeting culture and how a reliable video conferencing solution helps companies avoid confusion and achieve clarity. In our previous blog, we addressed the ability to create effective in-house communication and excellent client relations through video collaboration. 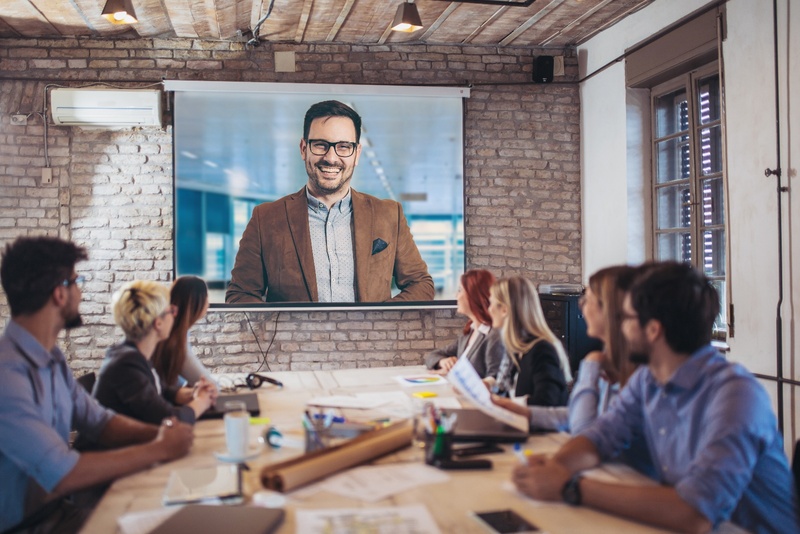 Video conferencing is proven to increase ROI all while providing companies with the face-to-face synergies necessary to compete in their industry. In this blog, we will zero in on a face-to-face meeting culture and how a reliable video conferencing solution helps companies avoid confusion and achieve clarity. Before we answer these questions, let's look at why email and phone are minimizing our productivity. First, this is not a blog about making the telephone and email methods of communication obsolete. It is, however, a blog about their inability to carry the full freight of a conversation across the line. Where emails fail to make a conversation clear, VC brings people together “in the same room”, even if they are a thousand miles away. Video collaboration has the power to bring our content and our conversations to life. This is what we have been missing in the corporate culture. How much energy did we waste in the last year going back and forth between platforms, trying to understand each other's emails, chasing down documents, when VC has provided a far more efficient way? We must provide our projects with a platform that achieves coherence and inspires creativity. By now, you might be thinking, “What is the big deal about being able to see someone’s face? What is their face going to tell me that their words can’t? Professor Mehrabian’s study on the nonverbal aspect of communication told us that 55% of what we hear, we can only understand with our eyes. It was one thing to hear Elvis sing “Hound Dog” on the radio. It was another thing entirely to watch him perform it. There is freight to your message, and ideas within it that are only experienced when someone can see your body language and facial expressions. When you see, you will understand. While we don’t recommend Elvis’ hip gyrations to get your point across, we do recommend you take your point seriously with a clear, crisp, video solution. Imagine a business video conference with a potential client where they get a front row seat in your conference room without ever having to leave their office. They are introduced to the faces in your company, and experience “in person” the customer service you rave about on your website. This is seeing the face and understanding the words. While you might be able to walk across the room to collaborate face-to-face with some of your coworkers, the modern expanding workplace doesn’t always assume such a luxury. In one of our latest blogs, we wrote about the modern workplace, citing the New York Times as saying, “43% of employed professionals are spending some time each week working from somewhere else.” If your company has adopted VO (virtual office) as an option for employees, these employees should be equipped with VC to make the office at home like the office at work. VO gives our employees flexibility, and flexibility frees them to bring their best selves to the tasks at hand. To remain competitive in the recruiting process for top talent, it is recommended that companies offer their employees a job that works with their lifestyle. It is no longer noble to work inefficiently. The workplace of the future is being built, and remote work, made possible by video collaboration, is replacing the rigidity of an ineffectual cubicle career. Companies that aren’t relying on a singular software for their communication feel the pain of having their projects strewn all over the place. From a user experience, nothing is more frustrating than time spent crossing over from platform to platform instead of completing projects. Video collaboration as a software brings content, contacts, and conversations together to one place, making our projects much more cohesive. Now a team spread across the world can collaborate on a video call, screen share, and resolve the most technical of projects. While we used to sift through old emails looking for the right documents, and perpetuate the madness with the forward button, VC brings an end to the nonsense. No more back and forth, trying to remember what they said from eight emails ago. VC comes to answer an all too often unasked question in the workplace: “How can we only have this conversation once?” Face-to-face meetings allow for a project to be overviewed by a team in one sitting so they can spend the rest of the day moving the project forward. The entire meeting can be recorded and transcribed. Microsoft Teams is the best in the business at bringing teams together from near and far for collaboration. With file sharing, chat, video conferencing, and screen sharing all available on one app, a team can spend more time collaborating and less time confused. Companies that are collaborative to their core prioritize face-to-face collaboration and immediately see results. No more “trying” to understand. Now your team member is looking at you, and they can tell whether you get it. No more misunderstanding just how important that one thing was to the manager. Now, teams can share projects back and forth in real time on one cohesive platform. This is how we like our communication: uncluttered and not confused. Professor Mehrabian might say that a company communicating face-to-face is understanding a great deal more than those still convinced that faceless communication is working. We believe that as industry-leading companies, we must treat our synergy like the gift that it is and steward it with uncompromised communication.